Kiwis Dave Holder and Jason Farmer are lining up their final FIA Junior World Rally Championship event of the season with this week's Rally Turkey. 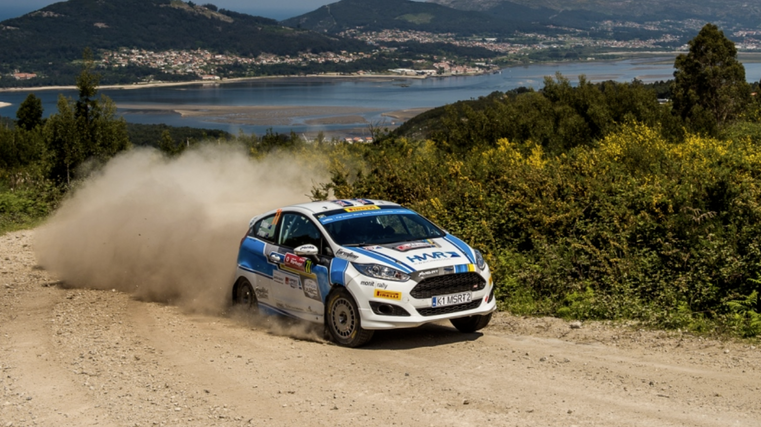 New Zealanders Dave Holder and Jason Farmer line up for their final FIA Junior World Rally Championship (JWRC) event of the season with this week’s Rally Turkey promising the challenges of rough gravel stages and high in-car temperatures. The first challenge for Holder and Farmer was even getting to the event. Now the pair are ready to tackle what will be three testing days of rally competition in their JWRC-spec Ford Fiesta R2 EcoBoost rally car, identical to those run by the other 12 JWRC competitors. The pre-event preparation has involved considerable sweat of the physical kind as Holder did his best to ready himself for the 30-plus degree temperatures of Turkey in late summer. Holder is open about the fact that the stage times in earlier JWRC events this year have not been where he wanted them to be. “We’ve done something quite different with the pace notes for this event, based on some advice from Hayden Paddon, so we’re hopeful that will correlate into more confidence and some better stage times. We’ve been struggling with pace notes all year and the results have shown that. We’ve put a lot of work into this aspect over the last few weeks and feel good about the direction we’ve taken, so the main goal is to be putting in some better stage times." He knows that looking after the Fiesta and its allocation of tyres will be vital.